I had been waiting for a Diezel german made cabinet for too long ..
My local guitar store finally brings them in this year. Thank you, TGP/Cheras- Low KS and Ken Chan shipped it to me within couple of days. Someone made a mistake in Diezel factory. The check box of "Rear Loaded" was checked on my shipping box. I thought I had placed a wrong order when I just received it initially. 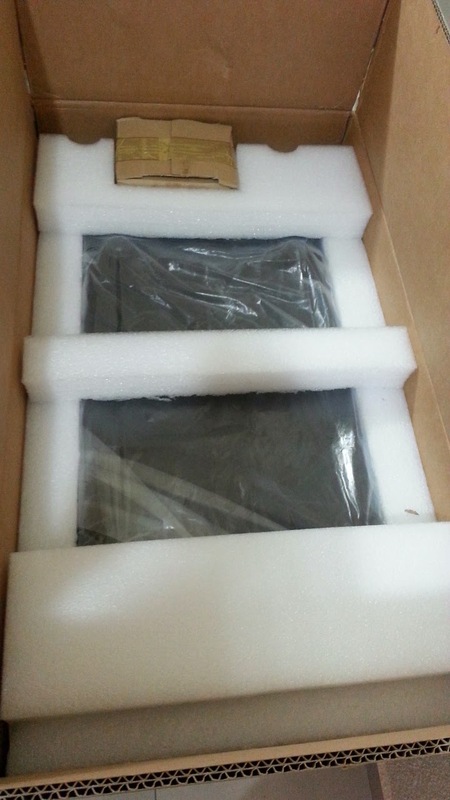 My Diezel cabinet was well packed from factory. 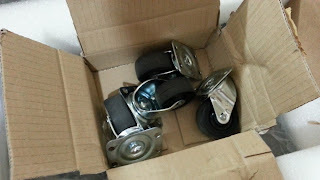 Four removable caster base plates and rubber feet. 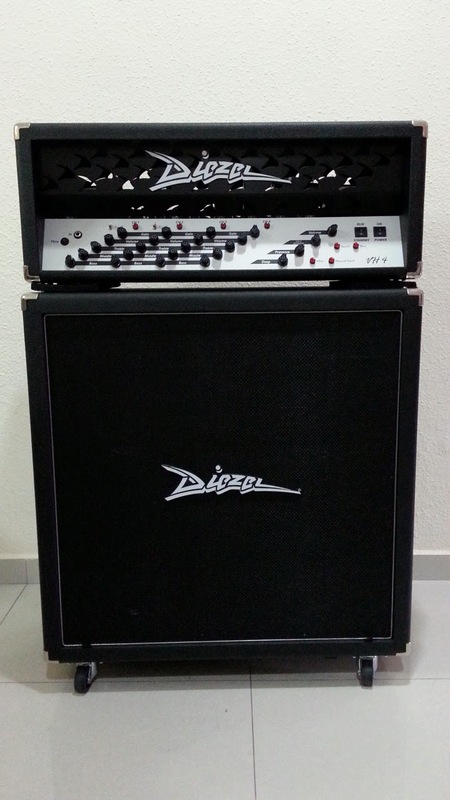 Here she is Diezel new German made 4x12" Front Loaded Cabinet. There are some old US made Diezel cabinet in the early of America market. 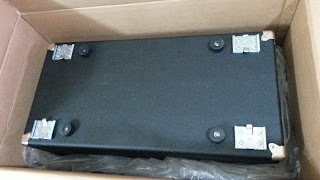 because the flight costs a bomb to ship 4x12" cabinet over the sea and even long lead time by sea shipping. All those US cabinets were licensed under Diezel trademark. However, the design and construction are very different from German made cabinet. 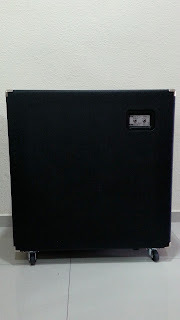 Since the speakers are loaded from front, the cabinet back is fully sealed without any screws. 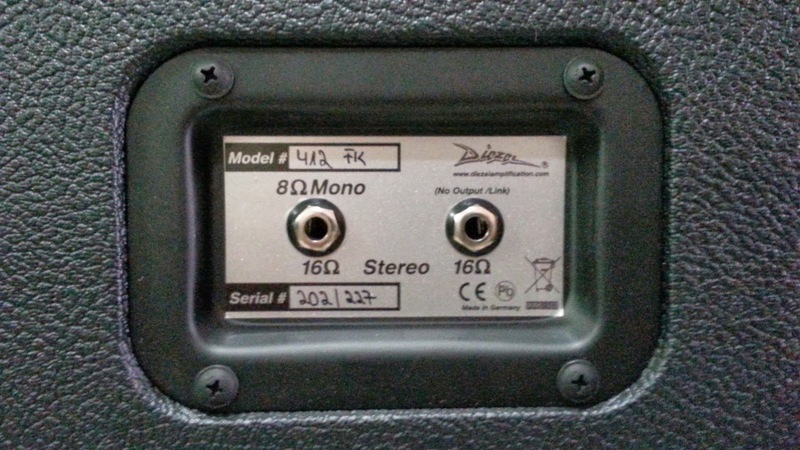 8ohm in mono, 16ohm in stereo for each pair of speakers. 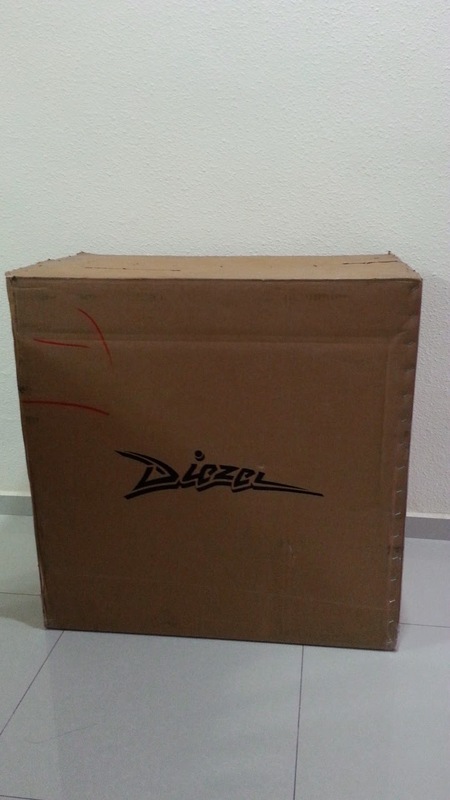 All Diezel cabinets are made in Dillingen, Germany since year 2007.
from internal baffle boards to the choice of cabinet wood and speakers. The woods are cut by high precision CNC machines in that new production plant. I really love the Front-Loaded cabinet, easy to access the speakers. I had been looking for the perfect cabinet to match my Diezel VH4 and Herbert for years. unfortunately none of my local guitar store brought them in and the oversea shipping always make us headache. Orange PPC412HP with G12-K100 speakers, Bogner Oversized 2x12" cabinet and even a Mills Acoustics Afterburner 412 cabinet. 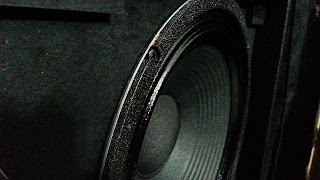 I had even messed around the X patterned speakers in every single cabinet that I have (check out my blog). Unfortunately, none of them really fulfilled the perfect Diezel tone in my mind. As you know Diezel VH4 and Herbert are voiced pretty heavy low-mid and compressed. 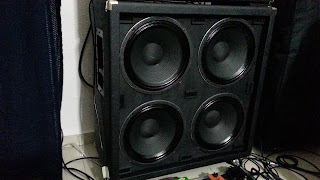 Mesa and Bogner cabinet sounded great to me, but still lacked of something to my ear and I believe that caused by Celestion V30 speakers. 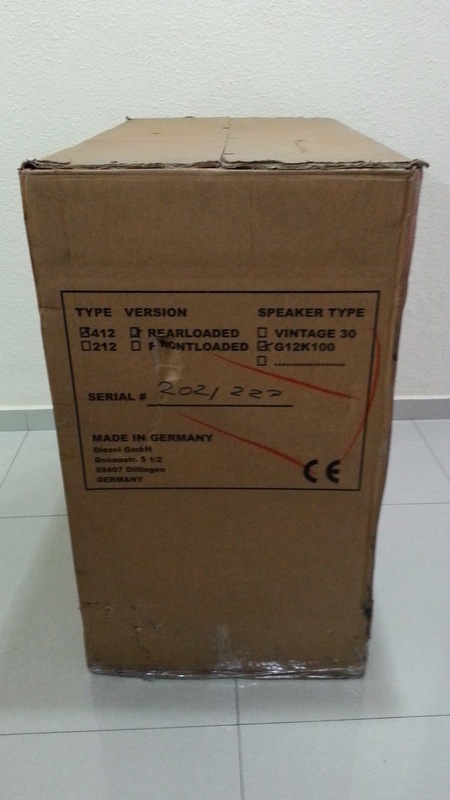 After that I thought G12-K100 speakers would be the choice, so I bought a Orange cabinet with that speakers. Too sad to say that Rear-Loaded G12-K100 sounds muddy and even worse inside a Orange cabinet with Cane front grill (sound from a blanket). 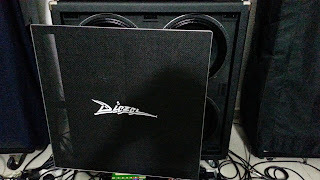 I was so scared that Diezel cabinet would fail me since I bought it without trying and this cabinet is so expensive. What a relief when I listened Diezel VH4 and Herbert sound perfectly with Diezel Front-Loaded G12-K100 cabinet. 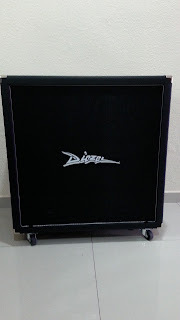 Buy this cabinet if you are seeking for articulate, tight and fast response especially for low tuning player or you want your Diezel amp to sound brighter and opened. 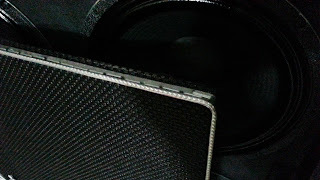 Speakers are directly screwed on the front baffle board without speaker gaskets. Silver piping - There is one of the way to differentiate Diezel German cabinets from early US cabinets.